As you all know, I love my paper planners. The reasons I love them so much are many, but I think one of the biggest reasons is that they help to keep every aspect of my life in order. I know I could do this on my phone with a wide assortment of apps, but I prefer to do it in my planner. Obviously the schedule is the biggest part of a planner. Without the monthly and weekly calendars I would be completely lost in my own life. But everybody knows that planners are schedules. What not everybody realizes, is just how versatile they can be. 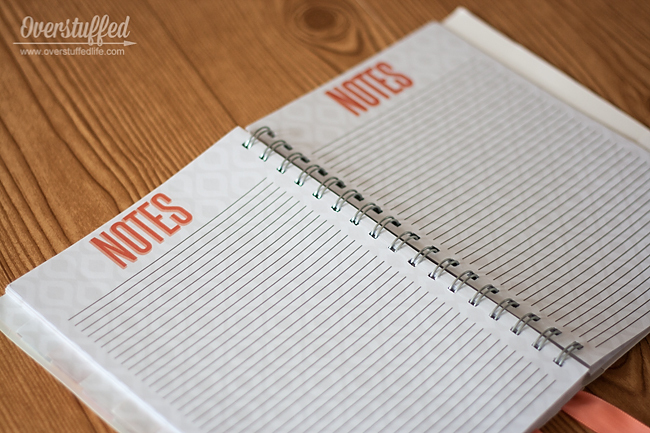 Here is a list of all the ways I use my planner, plus a few ways I should be using it! In order to do all these great things in my planner, I obviously need one that has enough of the right types of pages to allow me to do them! 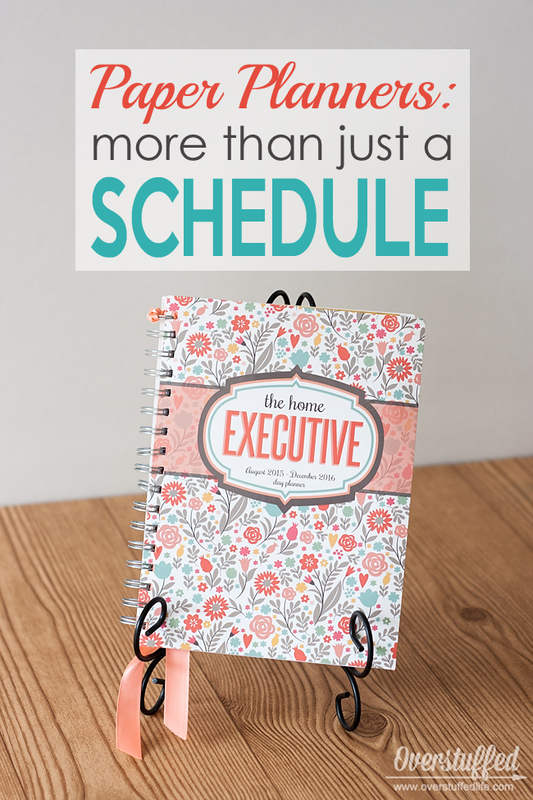 The Home Executive is a planner I used a couple years ago and really liked (you can see it in my great big post about planners, but keep reading because it's now been updated!). I like that this planner isn't hugely thick or unruly. It very easily fits into a purse (even a smaller purse) and isn't heavy to carry around. The design this year is also so pretty! One of the things I missed with this planner was tabs, but they have no been added! 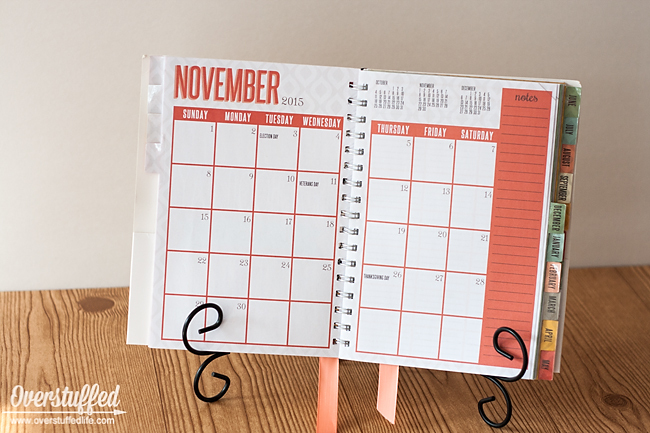 The monthly view leaves plenty of space for extra note taking as well as scheduling. The weekly view is amazing! Each day has five blank options, plus a menu plan and shopping list. There are so many different ways to use the blank options! One for each member of your family, one for daily goals, one for daily task lists--the possibilities are endless! I like how it is formatted in such a way as to utilize space efficiently and let you use it in whichever way suits you best. 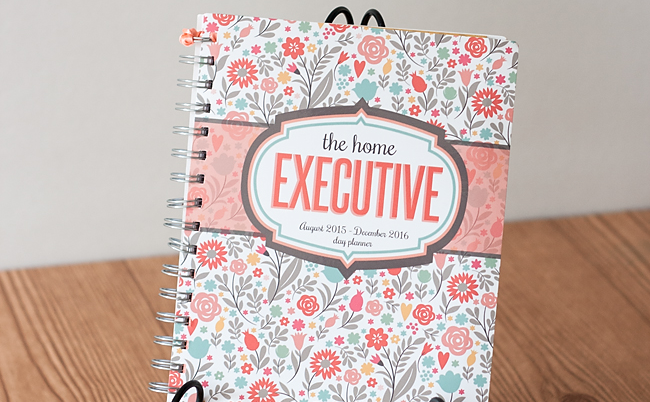 The Home Executive planner also has a nice section for note taking, holiday planning, gift lists, etc. 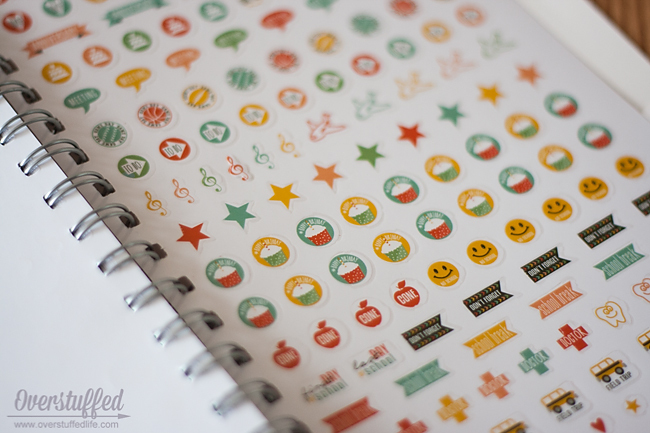 This planner also comes with two sheets of fun stickers for your scheduling. There are dentist appointment stickers, music lesson stickers, parent/teacher conference stickers, and many more. Finally, it has pockets in both the front and back covers to hold all those flyers and other important papers you need to keep at hand. Follow my Planners Board on Pinterest! 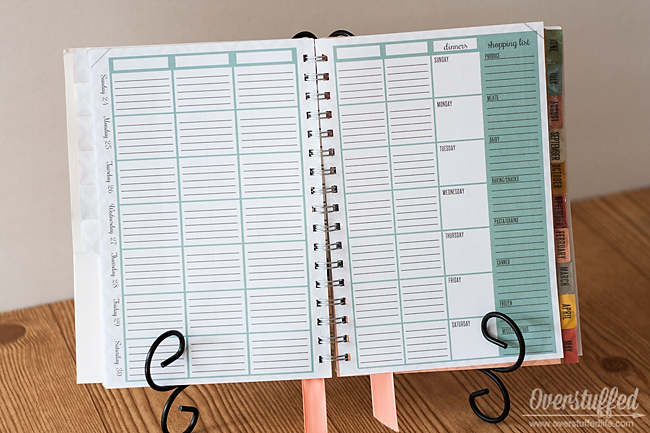 What is your favorite way to use a paper planner? I use my planner for my budget/bill paying too! Love a "paper planner!" I use mine for daily to do lists and journal keeping. But I haven't had one for a couple of years and desperately need a new one! I love meal planning on my paper planner. I try using electronic planners but always go back to paper. Love this post! 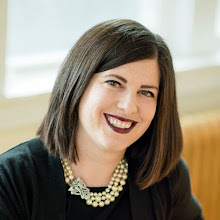 I use a planner to track blog stuff and my "to do" list. That's a really pretty one! This looks like a great planner! I have a daytimer; make my own sheets; but still not finding anything that works for me. I use it for my to-do list. 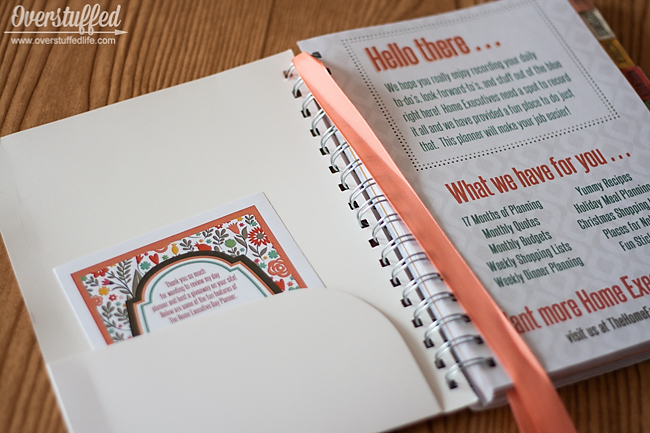 I use a Filofax and Erin Condren Life Planner at the moment. I just found your web site via Pinterest! How lucky! I am a huge paper planner; no iPhone app can do what a paper planner can. 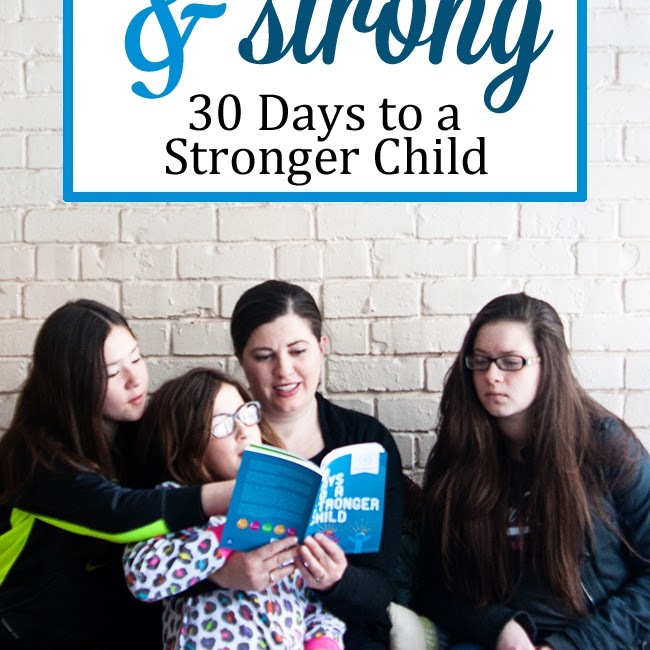 I have two young daughters, and so much to balance and organize. 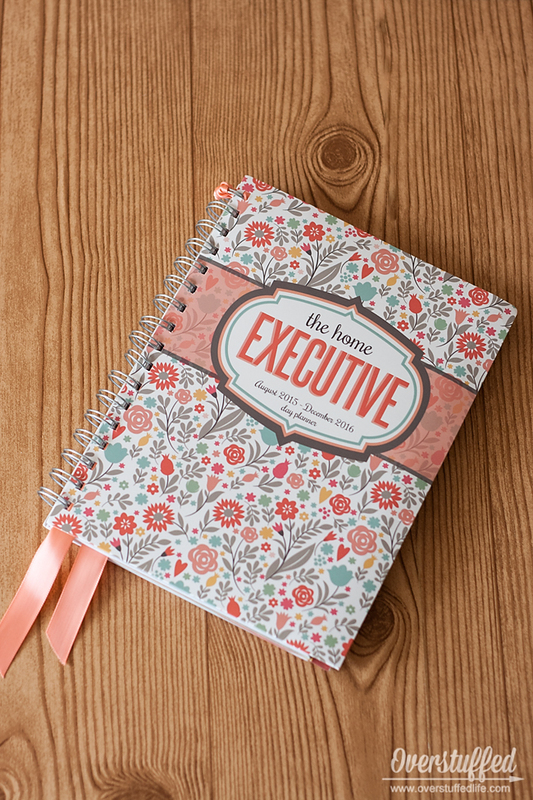 I just told my husband that I am now going to refer to myself as a "home executive"...I love that! I use paper planners for schedules, lists, ideas, plans, and even as a creative outlet, since I love to "beautify" them! I like to use my planner to keep track of dinner menus and my to do list. Tracking hours and recording calls, requests, notes/"to-dos"
Main to do lists, shopping lists, project lists, honey do lists, etc., etc., etc. 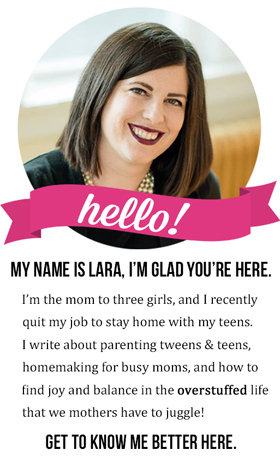 Love the 'thought of it all' feel of this Mom Tracker. I love the new tabs and this year's design is so pretty! I use it for meal planning, thoughts, to do lists, church stuff...everything and my phone just isn't enough!! So excited...Thank you very much. 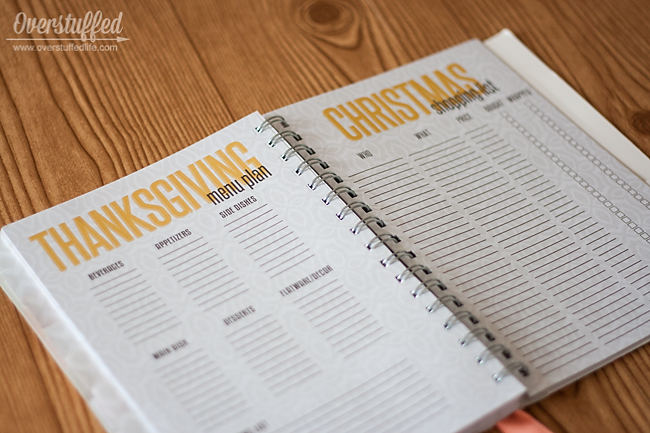 I cannot get around without a planner and I love the idea of having it all in one spot.